The East West Partners and Slifer, Smith and Frampton – Denver office has always had the best model in Denver and now it’s even better! On Tuesday, Archetype 3-D came and added 13 buildings to the model. Some are buildings that have been up for a few years like Waterside Lofts and others are brand new buildings that are about to come out of the ground. Four new apartment complexes have been added and look fantastic. These include the AMLI project on 20th and Little Raven, City House at 18th and Chestnut, Cadence at 17th and Wewatta, and Delgany Lofts at 15th and Delgany. 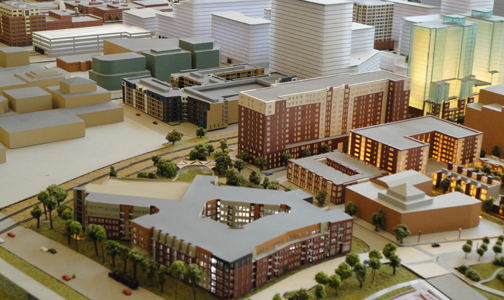 Our model is a great way to get a feel for Denver from a birds eye of view. It is amazing how much growth has happened over the past decade and what is still to come with the Union Station Neighborhood. If you haven’t been in our office to see it, I would highly recommend putting it on your to do list.